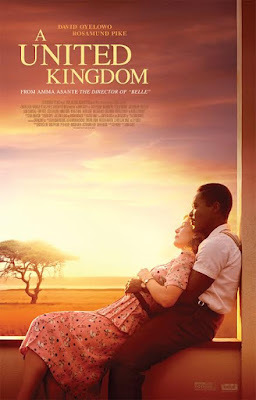 Download a pair of passes to see A UNITED KINGDOM in Orlando! You can download an admit two pass to see the new movie A UNITED KINGDOM at AMC Altamonte Mall 18 - 433 E. Altamonte Drive, Altamonte Springs, FL 32701, on Monday February 27th, 2017 at 7:30pm. A UNITED KINGDOM opens in Theaters on March 3rd, 2017. Disclaimer: NO PURCHASE NECESSARY. Passes available on a first-claim first-serve basis. You will need to register for a free FoxSearchLightScreenings.com account in order to redeem the passes and each registered user account is limited to claim one admit-two pass. SEATING IS LIMITED, SO ARRIVE EARLY. PASS DOES NOT GUARANTEE A SEAT AT THE SCREENING. Refer to screening pass for further restrictions.